A diverse, distinct and textured flora. 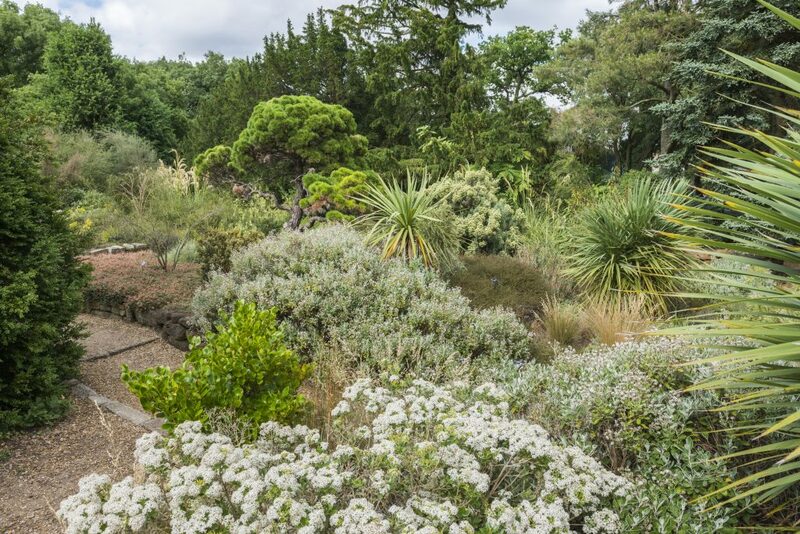 The Terrace Garden began life as our original rock garden, and plantings here have been developed to show the sculptural forms of New Zealand plants. The flora of New Zealand is rich and diverse, and has evolved in isolation, resulting in a unique flora which grows from lowland, subtropical forests, to high altitude, snowy peaks. 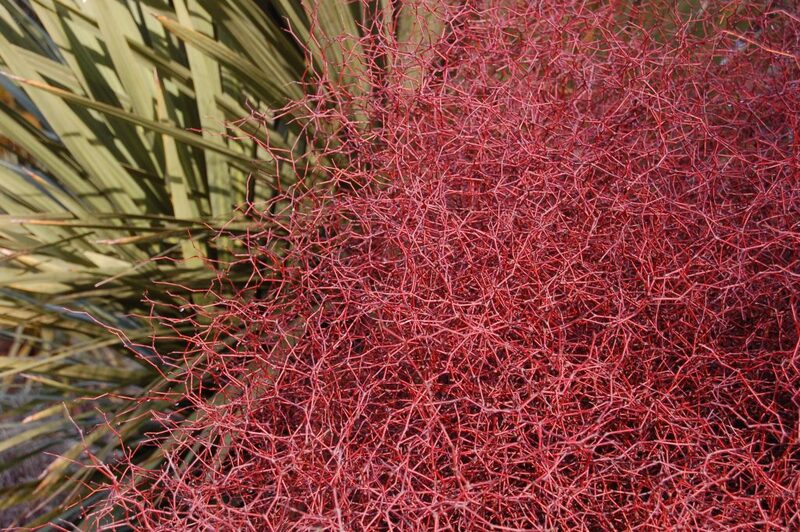 The flora is so distinct that 85% of plants found here are endemic, and occur nowhere else in the world. 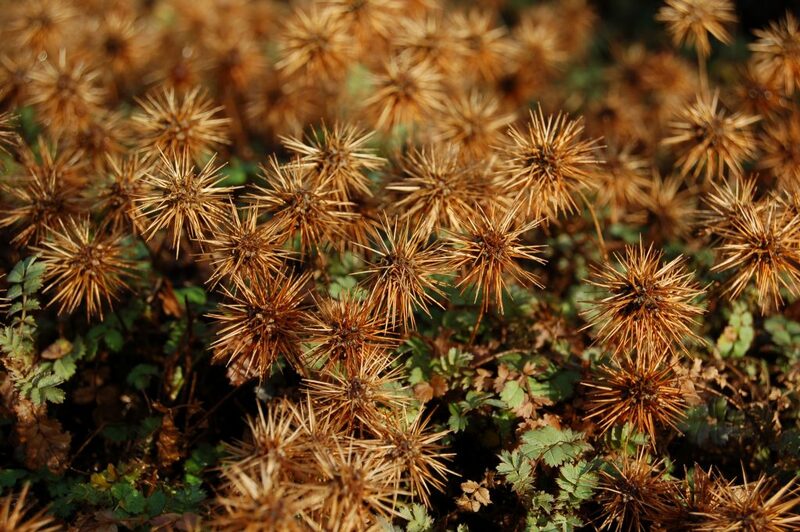 Many of the plants grown here are highly architectural, such as the spiky-leaved speargrass, Aciphylla colensoi, and when combined provide a textured landscape. Distinct plant forms are evident, with species including Linum mongynum var. diffusum, having small white flowers typical of many New Zealand plants, which have adapted to attract the limited number of pollinators available. Other plants have evolved to have small leaves and divaricate, or widely branched, stems to deter predators unique to the islands, including Coprosma brunnea ‘Blue Beauty’. The feature is greatly enhanced by the landscaping here, which incorporates raised beds of sandstone walls, a hollow dell and a small, rocky pool with cascade. 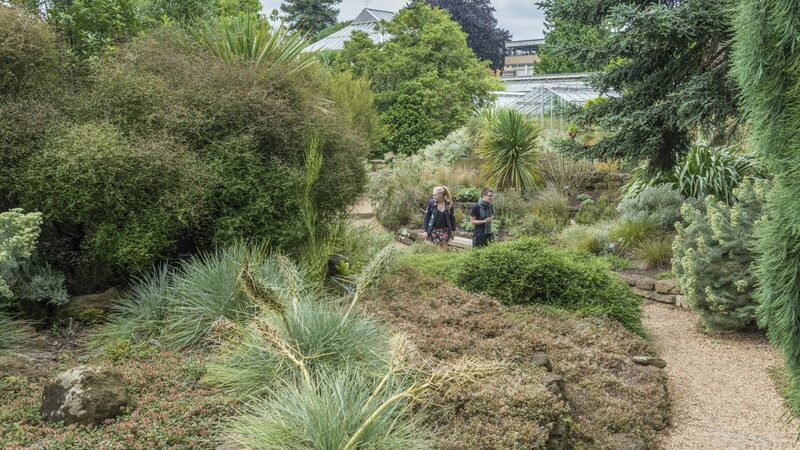 A wander through the Terrace Garden will highlight the forms and diversity of the New Zealand flora, which ranges from the low, carpet-forming Acaena inermis, to the fibrous, strappy foliage of the New Zealand flax, Phormium cookianum.